Portrait Professional lets anyone look great in a photo! In very little time, and needing absolutely no artistic skill, Portrait Professional lets you enhance people in photos. Removes skin blemishes, spots or wrinkles, adjusts unflattering lighting, and can even re-sculpt the face to make it more beautiful! Most people are blown away when they see what Portrait Professional can do. Try it yourself and be amazed! ...... your subject look as good as possible. Portrait Professional requires no artistic skill. All you have to do is identify some points on the photo - such as the corners of the eyes, and the edges of the lips - and the software then calculates how to make your subject look their absolute best. 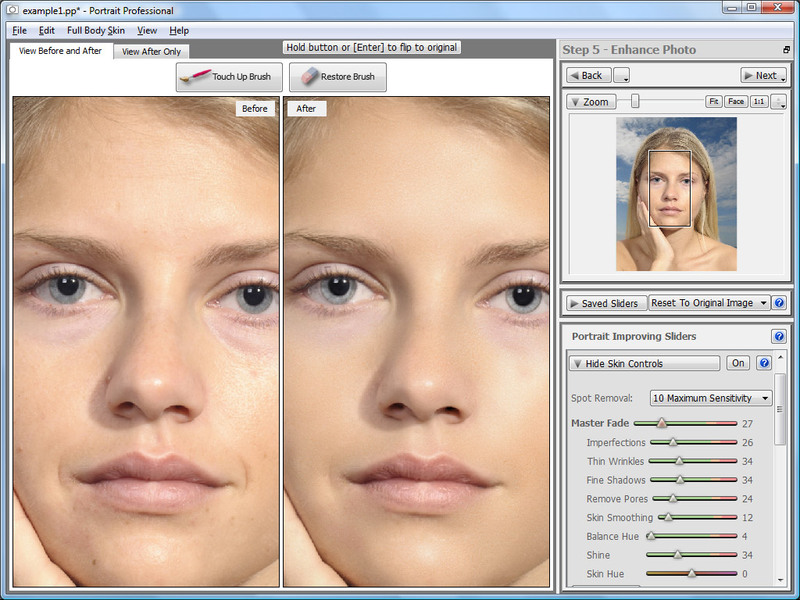 Portrait Professional software has been trained in all aspects of beauty. Portrait Professional allows you to choose how much to enhance the lighting, the skin texture and even how many wrinkles to remove. Portrait Professional even allows you subtly re-sculpt the face to make your subject look as good as possible. Verbessern Sie Ihre Portr?ts nachhaltig in nur wenigen Augenblicken. Qweas is providing links to Portrait Professional 10.7.2 as a courtesy, and makes no representations regarding Portrait Professional or any other applications or any information related thereto. Any questions, complaints or claims regarding this application Portrait Professional 10.7.2 must be directed to the appropriate software vendor. You may click the publisher link of Portrait Professional on the top of this page to get more details about the vendor.